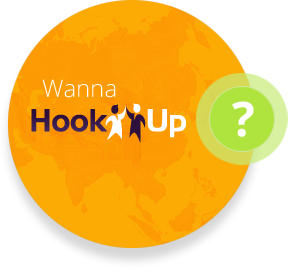 Would you like to HookUp with this company? Tablework is an online platform that digitises the work of acting. Backbone Entertainment, an MSC status company, was founded in 1994, a digital content company from Content Development to animation production, TVCs , games and Edutainment to entertain children with a motley of programmes to keep them smiling and interested in learning. Backbone is now home to some of the most talented artists, engineers, designers and producers in the industry. BARformula is a pioneer in zero waste technology for the oil palm plantation sector. Our Technology converts 100% of the organic wastes from the palm oil mill into nutrient-rich compost (BARcompost), which is recycled back to the Oil Palm Plantation as a superior substitute for chemical fertilisers. We are an electrical and electronics company and our special focus is on the areas of energy efficiency and renewable energy. We have excellent research, development and production facilities, which are supported by our experienced personnel who have expert technical knowledge. Envisioned to be a foremost service provider in remote sensing services and analytics for Precision Farming in the plantation sector, Braintree Technologies Sdn. Bhd. provides the best technologies in plantation mapping, plantation evaluation, plantation design and planning, plantation database development and analysis for production and fertiliser application. Braintree is also designing plantation development in accordance with the Roundtable on Sustainable Palm Oil Principles & Criteria. The companyâ€™s operations are fully vertically integrated, capturing data of plantation from an Unmanned Aerial Vehicle (UAV) and using satellites, extract and generate plantation maps in combination with ancillary information from the plantation to produce a current plantation management map with GIS for plantation managers. Braintreeâ€™s plantation operations are in Malaysia, Indonesia, and will be expanding to other countries. Brotherhood Arts Sdn. Bhd. was incorporated in June 2006 producing creative merchandise namely t-shirts and badges or any other medium to convey Islamic and good messages. In 2009, the company expanded its offering to Creative Media Solution – where the design and production of merchandise can be tailor made to reflect the clients’ brand and identity. Cell Tissue Technology Sdn Bhd. Cloud-based enterprise customer relationship management solution covering marketing, sales, customer service, call center & loyalty program.